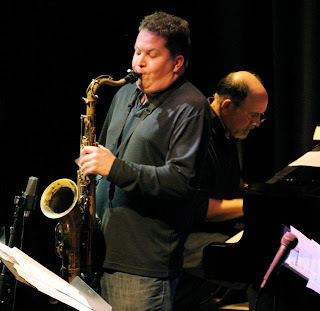 In 2009, the duo of saxophonist Woody Witt and pianist Joe LoCascio released the album Seasons Ago: The Songs of Alec Wilder. In this volume of rather obscure songs by one of American music’s great composers, the duo sought to explore and offer a wider perspective on Wilder’s work resulting in “ten tracks and ten moments of exquisite melody and harmony”. This time, the duo are at it again, tackling the music of Duke Ellington’s esteemed collaborator, Billy Strayhorn. Aside from his most popular tunes (“Take the ‘A’ Train”, “Lush Life”), Strayhorn’s repertoire consists of several lesser known wonders. To most jazz aficionados, his ballads “Chelsea Bridge”, “A Flower is a Lovesome Thing” and “Isfahan” are probably the most loved. But Strayhorn’s swinging side was nothing to shrug off, as evidenced by the posthumous album …And His Mother Called Him Bill. The concert takes place Friday, September 21 at 7:30pm in the Moores Opera House. Click here to purchase tickets online.